If you’ve ever visited Louisville you’ve surely heard of the beloved original, the Kentucky Hot Brown. The Hot Brown starts with an opened-faced turkey sandwich that gets topped with a rich, cheesy Mornay sauce, a few thick slices of juicy tomato, and finally some crispy bacon strips. This dish was originally created back in the 1920’s by a chef at The Brown Hotel who needed a substantial dish to serve to guests after long nights of dancing. Today we might call that a hangover meal! 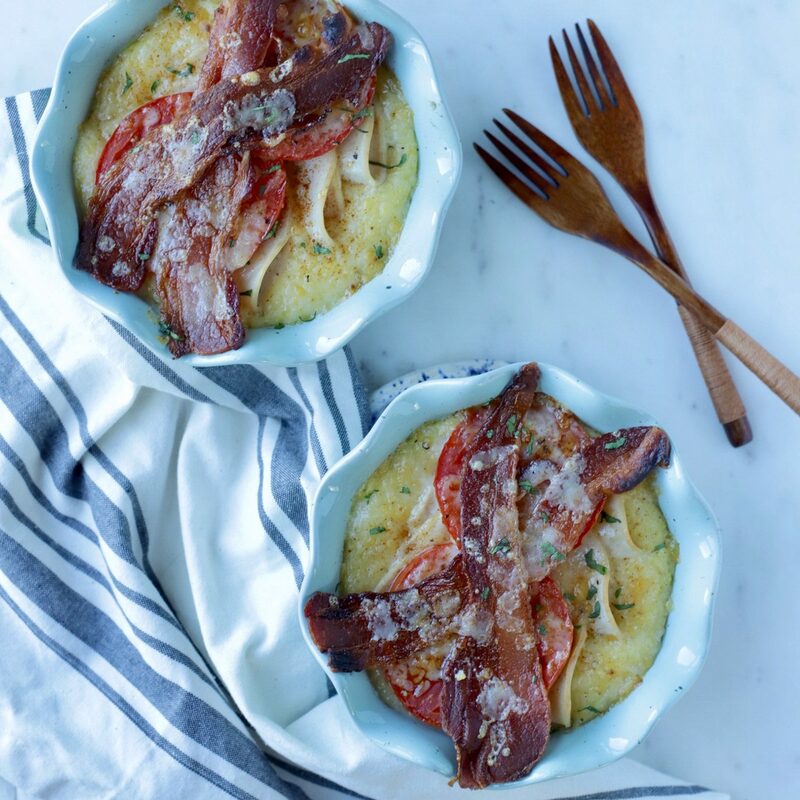 This Hot Brown Polenta is a fun riff on the original dish. 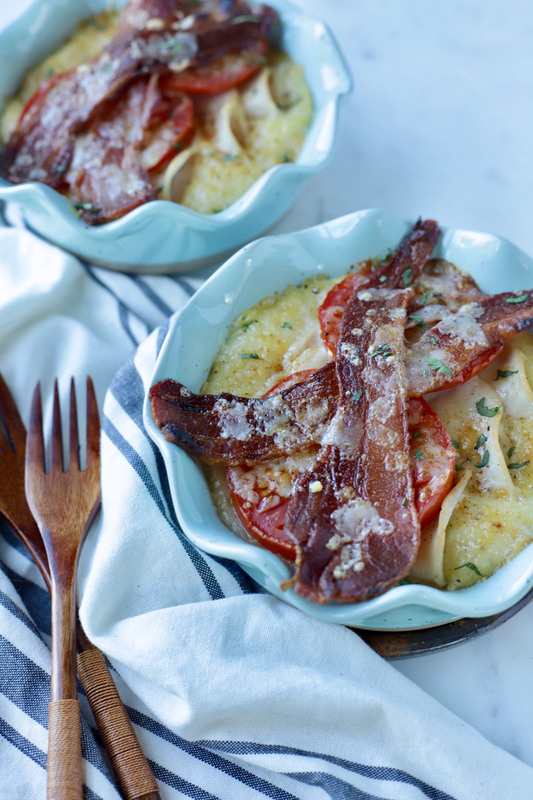 The bread and Mornay sauce is replaced by a base of cheesy polenta and then topped with the usual line up — turkey, tomatoes, bacon, and extra cheese! It’s a slightly healthier take on the original but it still boasts all the classic Hot Brown flavors – a great dish to serve for a hearty brunch! Enjoy! 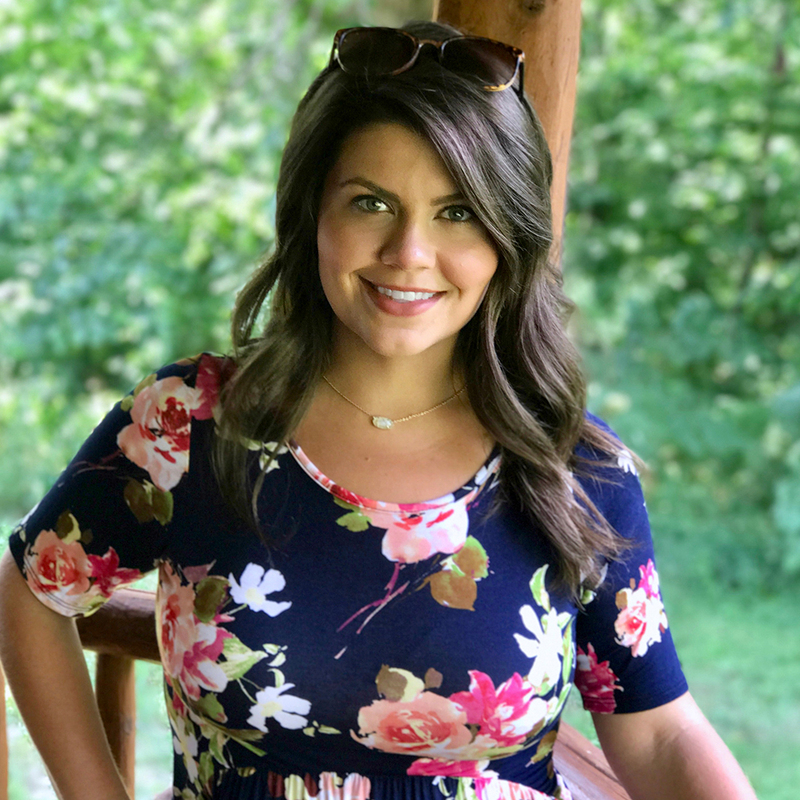 Rachel W. (@rachelshealthyplate), Louisville, KY | Mountain grown foodie. Creator of simple, healthy meals. Lover of cookies, beer, and 90s country. Old lady at heart. Instagrammer behind @rachelshealthyplate. In a saucepan bring water and salt to a boil. Slowly stir in polenta, whisking to avoid lumps. Reduce heat to low and simmer polenta for about 25 minutes, stirring every 4-5 minutes to prevent burning. Turn off heat and stir in 3 oz of cheese, 1/2 c milk, pinch of nutmeg, and a hefty dash of pepper. Taste and add more salt if needed. Divide polenta between 4 individual casserole dishes (one large dish is fine too). Top each serving with 2-3 oz cooked turkey breast and 2-3 slices of tomato. Sprinkle with the remaining 1 oz of cheese. Place under broiler and broil until the cheese is melted and the edges of the turkey are beginning to brown. Remove from oven and top each serving with 2 pieces of bacon, a sprinkle of smoked paprika, and fresh parsley.